In dementia, behavioral and psychological symptoms can be challenging for doctors and caregivers to manage. An international panel of 11 clinical and research experts from around the world reviewed the most current pharmacological and non-pharmacological treatment recommendations for these symptoms in people with Alzheimer’s disease, a common form of dementia, and published the results Thursday in the journal International Psychogeriatrics. Dr. Helen C. Kales, director of the Program for Positive Aging at the University of Michigan and research investigator at the Veterans Affairs Center for Clinical Management Research, explained to ABC News that just a “memory disorder" is usually how people classify dementia. So what did the researchers decide? A nurse helps an elderly person in this stock photo. Non-pharmacological approaches were ranked by panelists as more important first-line interventions than drug treatments for those with behavioral and psychological symptoms of dementia. These included evaluating for any underlying treatable cause first, followed by caregiver training, environment adaptation strategies, person-centered care approaches, and tailored activities for a person with dementia. Kales explained that determining if there's an underlying cause at fault is the most important factor in evaluating someone with any new behavioral symptom. One example is the common need for structure in people with dementia, Kales noted. 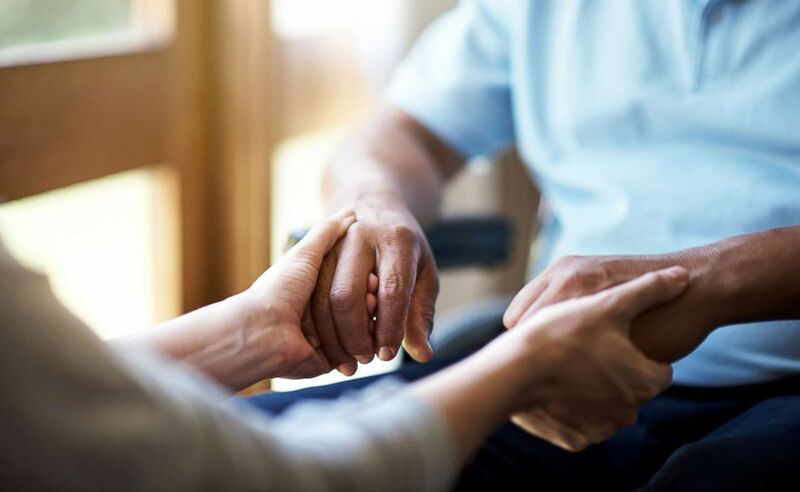 “Often a family caregiver will say to me, ‘We tried to take dad out for dinner and we thought it'd be great but he got upset and it didn't go well,’” Kales said. To that particular situation, she explained to that family that it's important to minimize triggers. Her approach is part of the caregiver education and environmental adaptation recommended by the panel. She often gives her patients’ families examples. 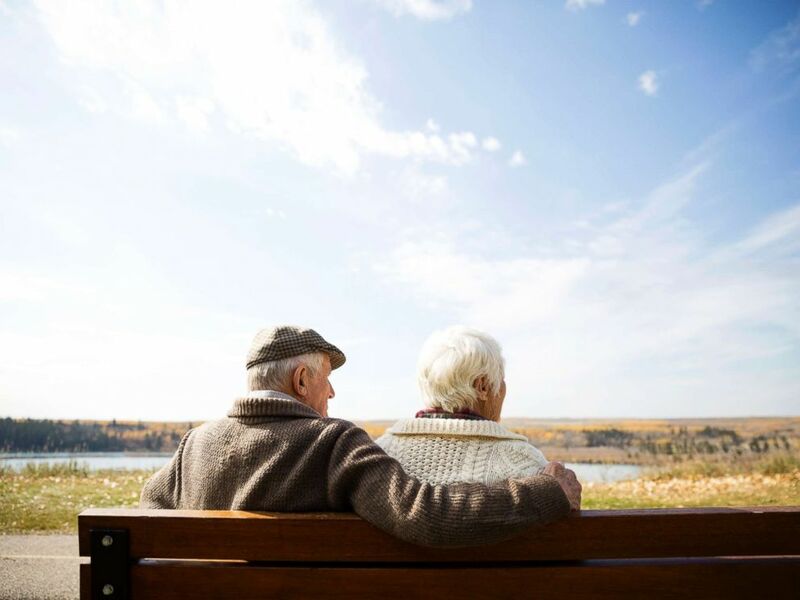 A senior couple sit on bench in this stock photo. “If there was [someone who was] a carpenter, maybe he can no longer build a cabinet because he’s [got] moderate dementia, but you could create a busy board, where he could have certain circuits or door knobs and switches that he could be arranging to help keep him busy while a caregiver is cooking dinner,” she said. It is important to note that although this panel of experts recommended non-medication approaches first, the science still supports using medications first in one particular instance: When a person is suffering from psychosis alone. Antipsychotics, like risperidone, have been shown to have benefits, but these must also be balanced against risks of increased death, Kales said. Emphasizing non-pharmacological treatments may seem to put too heavy a burden on caregivers, who are the ones implementing environmental adaptations and learning new strategies of taking care of a loved one with dementia. “One of the things we always try to communicate with caregivers, who often feel quite guilty about taking care of themselves, is that self-care is an intervention for themselves and for the person they’re caring for, which is often a revelation,” Kales said. And her final bit of advice for everyone? “There are ways people can learn to laugh and have fun even [when living] with this sad and serious condition,” she said of both caregivers and the people who have dementia.